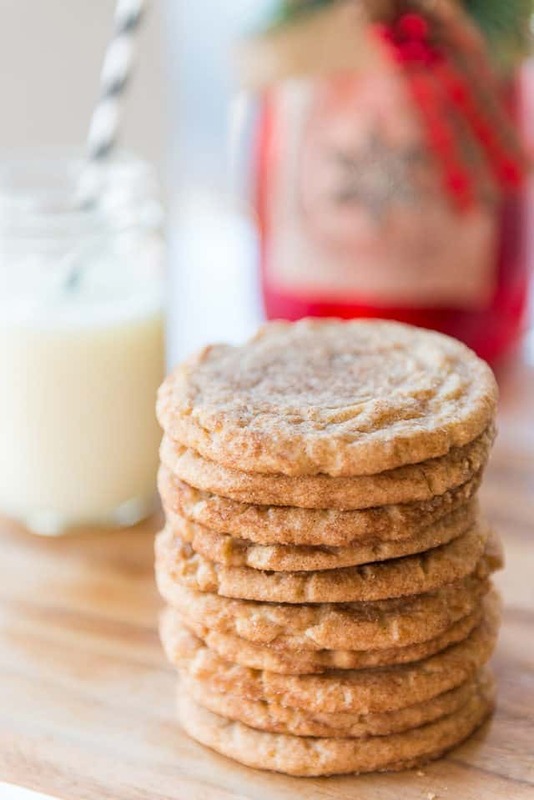 These Snickerdoodles have tons of cinnamon flavor, with a thin and chewy center, and slightly crisp golden edges. Also, there’s no chilling or cream of tartar required! 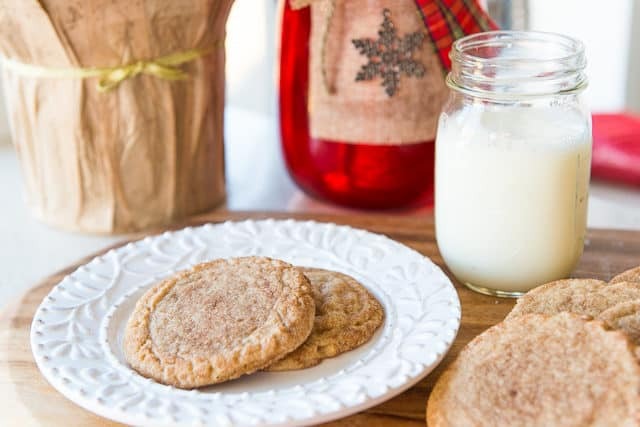 The best snickerdoodle cookie is all about sweet cinnamon flavor delivered via the perfect cookie texture, if you ask me. 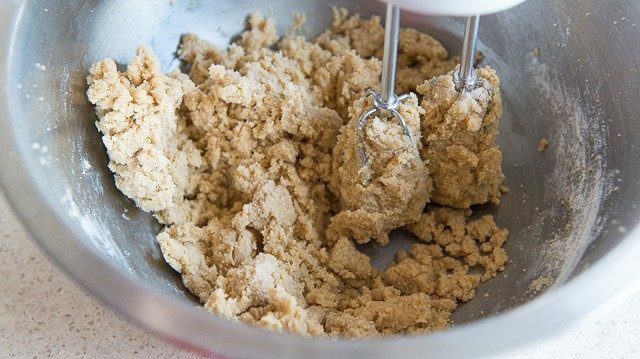 You can have 10 different cookie recipes using the exact same ingredients, but the textures can vary wildly depending on the ratios of ingredients, whether they’re chilled or not before baking, and tons of other factors. This recipe is exactly how I’ve come to prefer snickerdoodles. 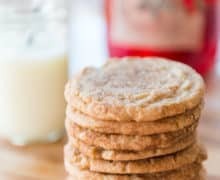 They’re slightly different from the usual snickerdoodle, and because they’re made without cream of tartar, they’re a bit more thin and chewy in the middle, with a crisp edge, instead of puffed and cakey throughout. 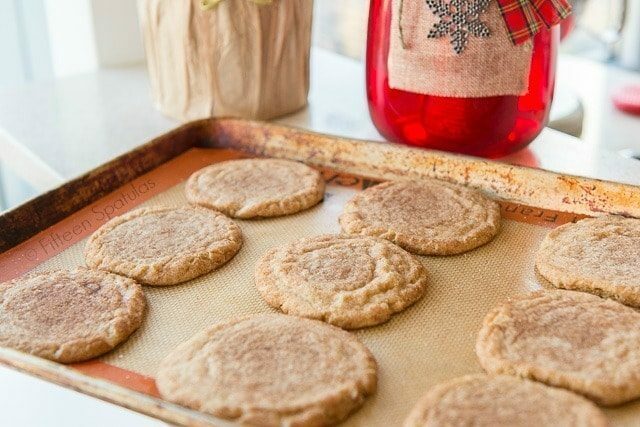 Snickerdoodles are popular enough that I’d consider them a year-round cookie, but I particularly love them for Christmas baking (along with Chocolate Crinkle Cookies, Lavender Shortbread, and Candy Cane Cookies). Because cinnamon is arguably the star player of a snickerdoodle cookie, it’s essential to use a really good cinnamon. They vary SO much in quality. This cinnamon is my favorite I’ve ever used. A friend told me it was cinnamon at another level, so I tried it and fell in love. And I admit that I’m one of those people who would rather cram 9 cookies on a sheet pan and risk them running together slightly, than separate them onto two trays. I know, I know. Separate the cookies onto two trays if you want to avoid that risk. 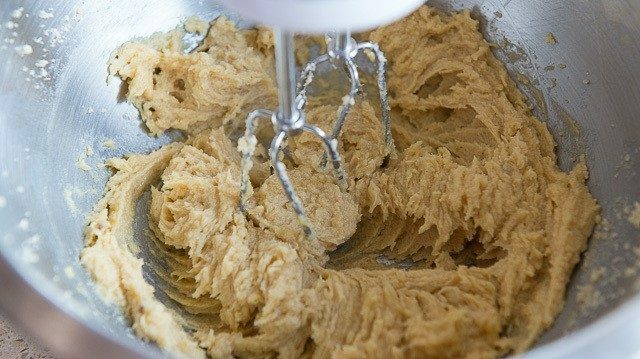 Shortbread Cookies, Monster Cookies, and Lemon Crinkle Cookies are some of my other favorite cookie recipes to bake. The full recipe is below, plus a step-by-step video if you’d like more guidance. Enjoy! 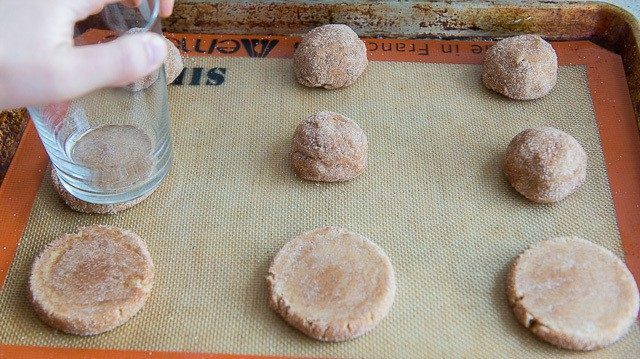 Can you freeze snickerdoodles? Absolutely! You can freeze them fully baked, or you can freeze the dough. If freezing the dough, I recommend pre-flattening it, so you can bake straight from frozen. How long will snickerdoodles stay fresh? These will keep for up to 3 days at room temperature, in an airtight container. Or in the freezer for up to 2 months. These snickerdoodles are my favorite! Thin and chewy in the middle, with a slightly crisp and golden edge. No chilling or cream of tartar required. Preheat oven to 375 degrees F. Line a sheet tray with parchment paper or a silicone mat. 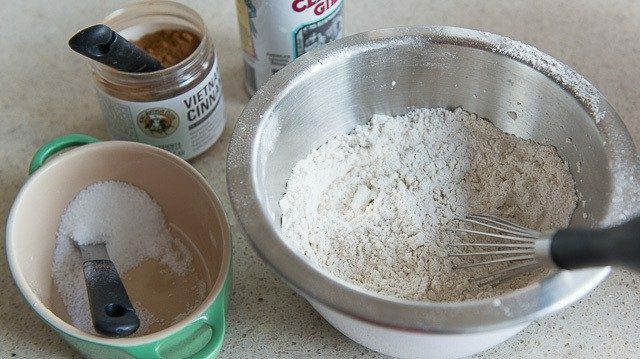 In a medium bowl, whisk to combine the flour, cinnamon, baking powder, and salt. 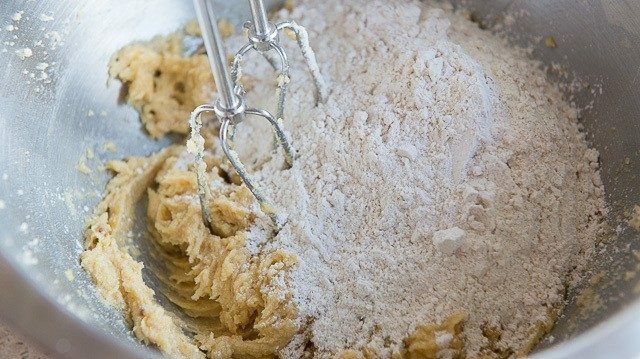 In a large bowl, cream together the butter and both sugars with an electric mixer until light and fluffy. 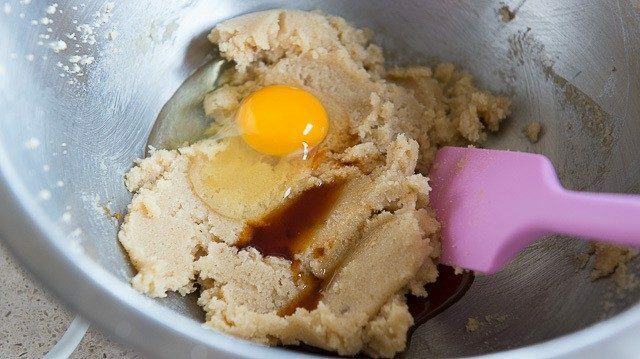 Add the dry ingredients and mix until the dough comes together. It will look thick and crumbly. For the coating, in a small bowl, whisk to combine the sugar and cinnamon. 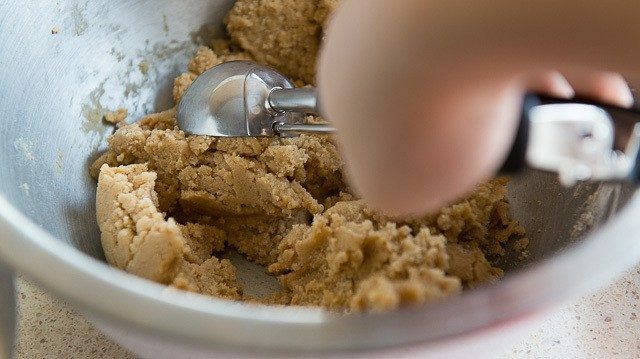 Scoop the cookie dough with a large 3 Tablespoon cookie scoop, and drop into the cinnamon sugar mixture. Roll around well to coat, then place on the baking sheet. When the dough is all scooped out, use a glass to flatten each ball into a disk about 1/4″ thick. Bake for 10-12 minutes, until golden and crisp on the edges, but still soft in the middle. Let the cookies cool on the pan for a few minutes to set their shape, then they’re ready to enjoy! Post updated in October 2018. Originally published December 2015. This post contains an affiliate link. I missed that you were expecting! Congratulations! Hope you find a coat soon. Going to have to try this recipe with my kiddos during the “winter blues” when our current stash of Christmas treats are gone. It might take until March to eat through all the goodies currently sitting on my counter and filling up my fridge! Oh, My, Goodness! My new favorite cookies. I made these for a meeting. They were the first to go. My mouth is watering now thinking about them. I did all the wet ingredients in a large bowl first. Then I added all the dry ingredients to the wet ingredients (no pre-mixing). I also like my cookies a bit thick so I only flattened slightly. YUM! I also love that this makes a small batch. Thanks for the recipe. Chewy cinnamon heaven. The baking time was spot on. So delicious! My family loved them and that says a lot since one of my kids is a huge vanilla fun. I had no idea what a snickerdoodle was but have been looking for a vanilla cookie recipe (not the traditional sugar cookie but more the dough of a chocolate chip cookie) for a long time so I did the recipe exactly as written but omited the cinnamon in the cookies and coating (I guess I did not bake snickerdoodle after all but were simply amazing). Thanks! Hi Caroline, so glad you and your family enjoyed the cookies! And glad the adjustments went well too!